Nobody was more surprised than me when on a 70 degree day on April 19 in Texas, I sat outside for lunch with a friend for an hour and twenty minutes and later that night found myself sunburned. In April. After an hour in the sun! 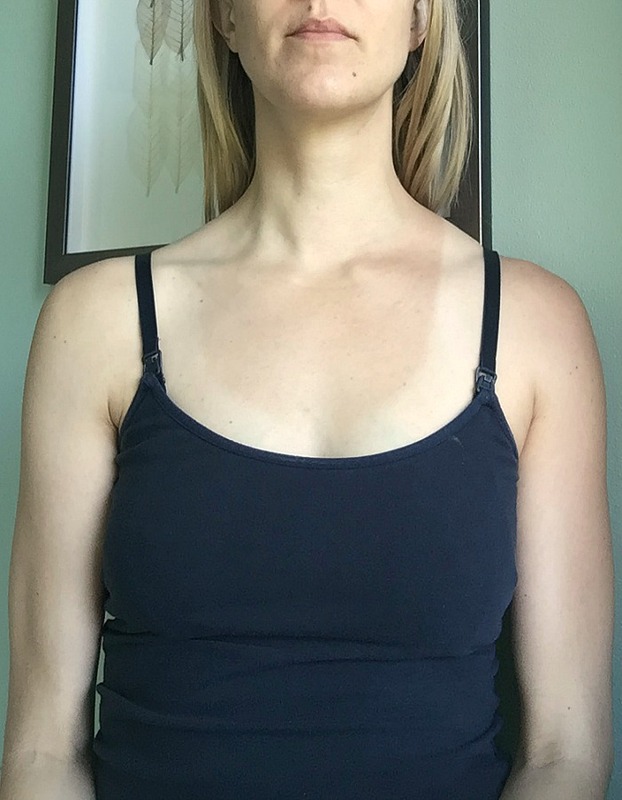 I was blessed with olive skin that rarely ever burns (I've had fewer than 10 sunburns in my entire life, and I worked at an outdoor community pool from high school through college!) I'm the skin tone that gets a beautiful tan in the summer. I was shocked that an hour outside in April could do this to me! 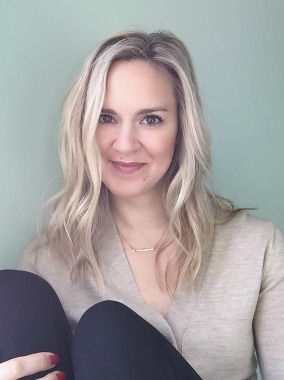 Yet, my skin hadn't seen sunlight since the previous September and I've gotten really good about covering my skin when I'm in the sun (nothing like aging to get you thinking about wrinkle prevention!) I remembered a tip from my old pool working days that the other gals used to do, and added some of my modern knowledge of essential oils to get my sunburn some relief in under 24 hours. Yup, and I have photos to prove it! Here's how you can get sunburn relief too. This was the tip from my lifeguard days that the girls with fair skin taught me. It doesn't matter if you're not going out in the sun again, it doesn't matter if you just took a shower. Apply a generous amount of sunscreen to your assumed burn areas immediately. The sooner you get it on there, the better your results. 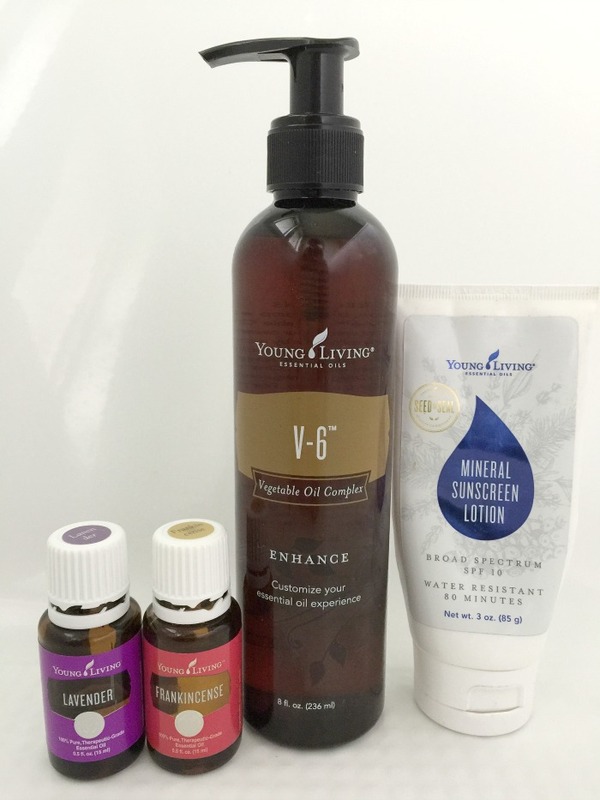 I use an all natural, mineral based sunscreen but it works with conventional brands too. For the next 24-48 hours, use sunscreen like a lotion on your burned areas. Sun burns dehydrate you from the inside out! Not only do you need to moisturize the heck out of the burned skin, you need to hydrate internally too. I normally drink 65-80oz of water a day and after this incident, I aimed for 100 so that I could be sure I was hydrated properly. Skimping on water can lead/contribute to sun poisoning if you got a particularly bad burn! Skip dehydrating cocktails and have a night of water if you're on vacation so that you can be sure to have a great remainder of your trip. And be sure to cover your burn when you're out in the sun so you don't do more damage! If it hurts to lie down, sit down, take a shower or is keeping you awake at night, take an anti-inflammatory OTC drug like Advil or Ibuprofen. Not only do these help with pain levels, they reduce swelling and inflammation to the burn site, unlike other pain meds. As always, consult your doctor before taking any drug, OTC or not. Some drugs interact with others, so if you're on prescriptions, be extra cautious and check with your doctor. 48 hours after the first picture was taken. The burn has completely transitioned to tan. Obviously, everyone's results will vary based on skin type and severity of the burn. Mine was not severe, and I have olive skin that tans easily, so my burn was easy to treat. Your skin and your burn will be different. These are just the things that I did, that I've learned over the years, and that help me recover from too much sun. If you went and got yourself a serious sunburn, please get off the internet and call your doctor! 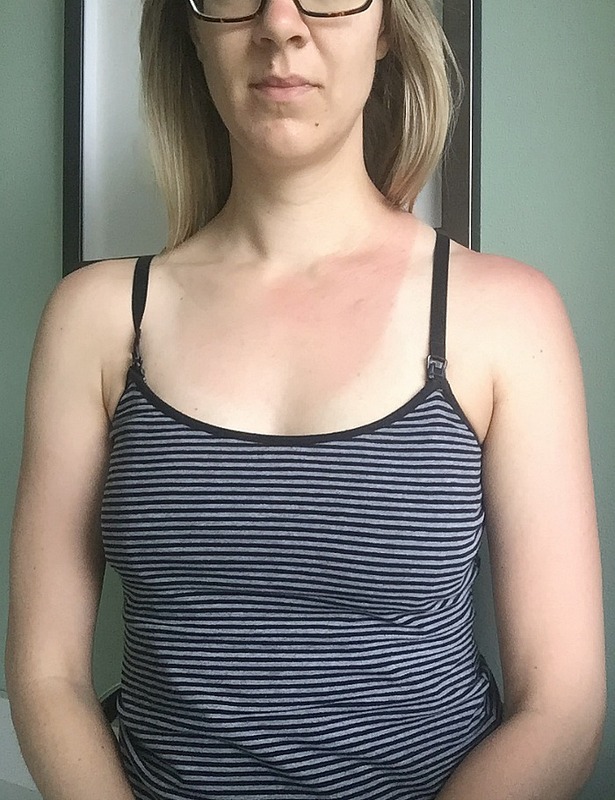 I haven't been out in the sun since my lunch date, but it served as a great reminder that even olive toned gals like me are susceptible to sunburns, especially as we head into the first nice few days/months of the summer season. The beginning of the summer season is especially important to cover up and use sunscreen to avoid burning skin that's been hiding all winter long. If you do get a burn, even a mild one, use these tips for sunburn relief. 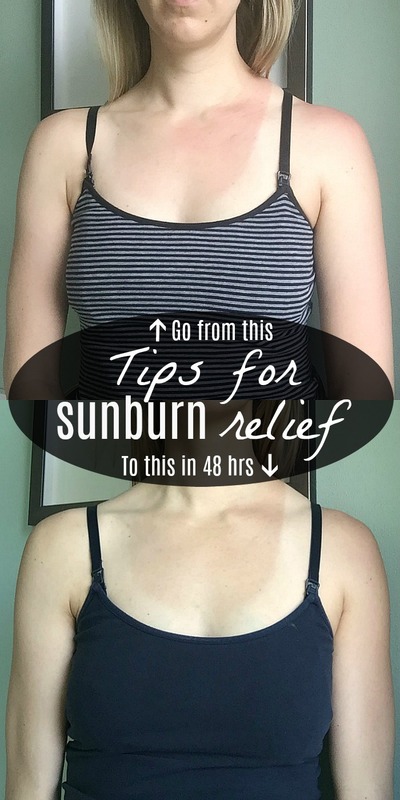 They take the sting out of a burn and turn it into a tan more quickly than doing nothing at all! Wow Paige, your results are amazing! Side note - what kind of sunscreen do you use? Lavender has been HUGE for when I've really burned myself with a hot glue gun. I had no idea lavender is great for burns. Thanks for sharing! Wow, these are great tips. 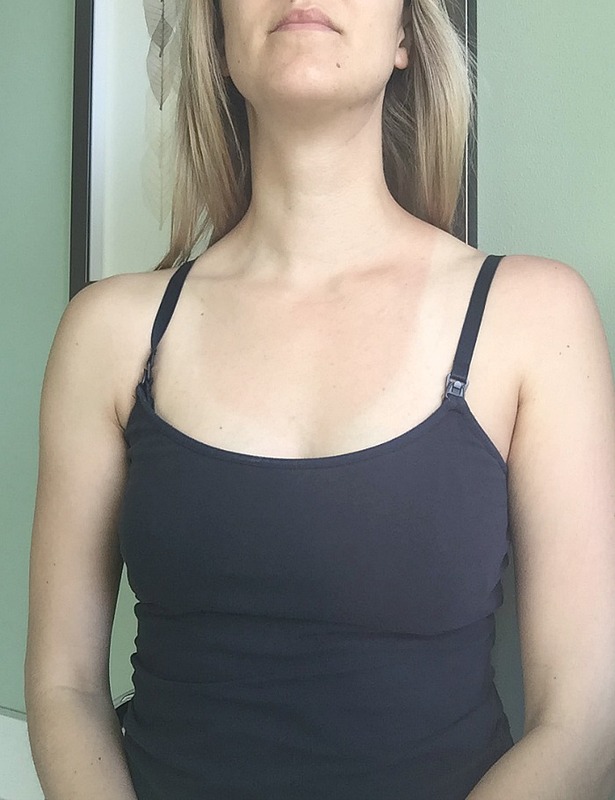 I have freckles on my shoulders, so I get burned in the beginning of the summer and am always miserable for a few days following. Pinning these tips for later! This is so helpful. I never knew the trick about applying sunscreen after you're already burned. Thanks! This is so great Paige! I burn so easily, and it it's the absolute worst. I've used aloe before but don't love it. Lavendar is my go-to EO so I can't wait to use it for something else! This is so helpful, as I'm pale enough to get burned just going out to check my mail! I'll definitely try essential oils next time! Applying sunscreen must be made a habit. I burn easily too so having a sunscreen lotion with me at all times is really helpful. I also use Aloe Vera gel (fresh from the plant) to soothe my skin if I ever do get sunburned. Lavender is seriously the best! If I get burnt again I’ll try the sunscreen tip too! Burns are the worst! Drinking extra water is such a great tip. Your body needs that to repair. I just got sunburnt over the weekend and thank goodness for lavender. It really helped! Definitely going keep this post handy for my husband. He burns so easily in the summer. Love these tips. Definitely going to save this post for the hot summer coming up! Using essential oils for sunburn is new for me. When treating sunburn, I go for aloe vera gel. I have lots of them growing in pots and it does help. Thank you for these tips. I will take note of them too. Sous Vide Australia offers smoking woodchips in eleven great flavours: ... American smoking wood that adds a robust smoke flavour to fish, meat and vegetables. ... romance to a special meal, their subtle aromatics give unique fruity smoke flavour. What type of wood to smoke a ham?